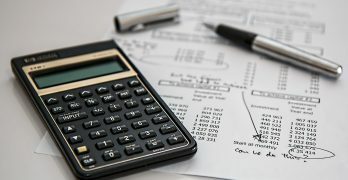 Catera and #IVoted will host a hip-hop show on National Voter Registration Day Tuesday to inaugurate an effort to get 2,500 electronic voter pledge cards signed by millennials, African-Americans and hip-hop consumers by the November 2020 election. 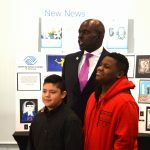 Vincent Lyles, who announced his resignation Thursday, cites increased membership in the Boys & Girls Clubs of Greater Milwaukee and college access for its members as among his proudest accomplishments during nearly seven years as CEO and president of the organization. 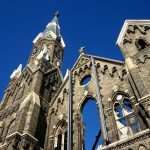 The Bells of Milwaukee, which was founded in 2016, recently arranged to fix the bells at Convent Hill Gardens and is now researching five other bells to refurbish. 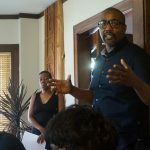 The 10-year Zilber Neighborhood Initiative ended this summer and Lindsay Heights leaders say most of the plan’s goals have been met or are on the way to completion. 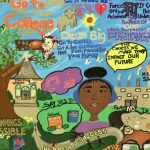 Fourteen teens ranging from 13- to 17-years old created their own mural based on the choices they want to make in their lives. 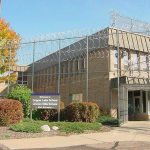 The mural will be displayed at New Beginnings are Possible. 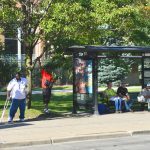 The Milwaukee County Transit System president and several employees successfully argued against a proposal that would have changed the rules about what happens when a bus rider doesn’t pay the fare. 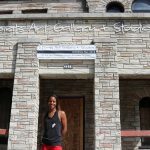 King Drive participants in Doors Open Milwaukee hope the event will bring recognition to their neighborhoods and build a sense of community. 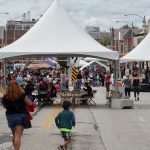 The Silver City InterNational Festival held last weekend celebrated the cultural and ethnic diversity of Silver City, located on the South Side. 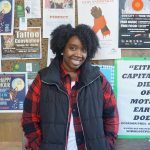 Walnut Way seeks to involve Lindsay Heights community members in neighborhood development conversations and encourage grassroots leadership. 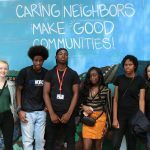 Teens worked to return the 12-year-old “Caring Neighbors” mural at Walnut Way Conservation Corp. to its original look throughout the summer and unveiled it on Harvest Day.